Touring Adidas Garment Development #WearableWednesday « Adafruit Industries – Makers, hackers, artists, designers and engineers! Last weekend I got to tour the Adidas facility outside Philadelphia where some of their smart textile garments are developed. Here are pictures of some of the things I was permitted to photograph! 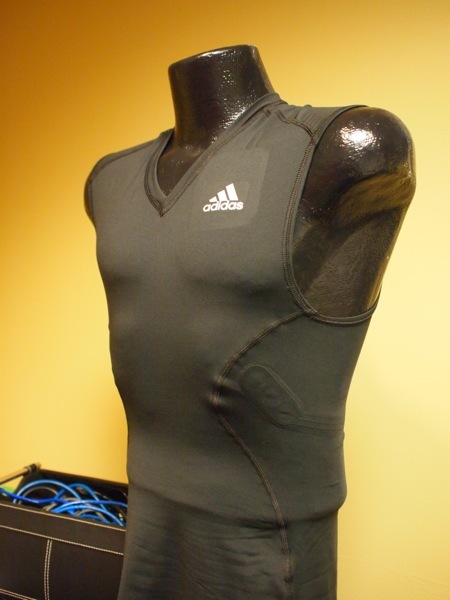 Above is a conductive fabric patch in a soccer training shirt that detects the wearer’s heart rate. 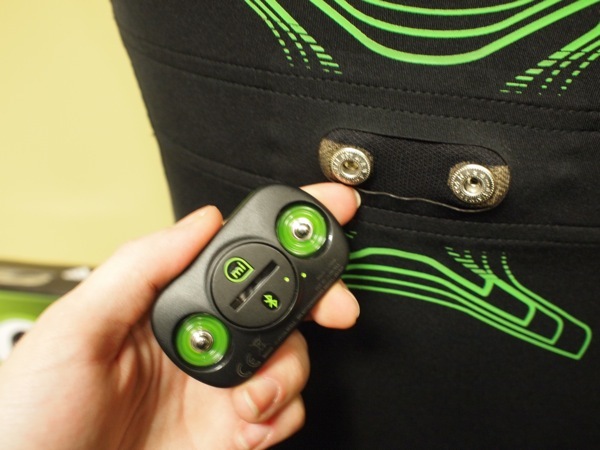 All of Adidas’ electronics modules snap into their garments, proving that a snap link between textiles and ‘tronix isn’t just for DIYers! This is the new bluetooth low energy (BTLE) reporting module. 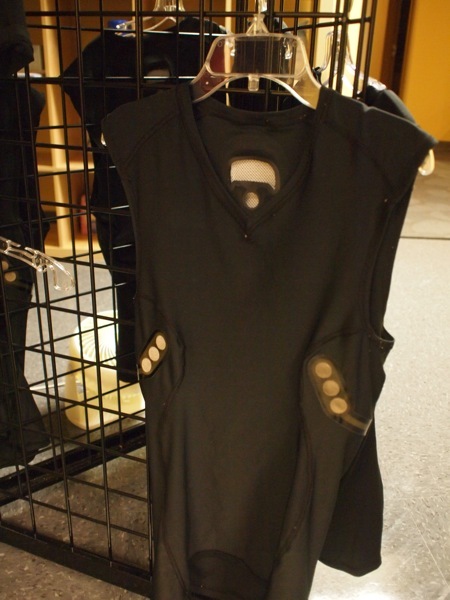 They test garments for durability in training/sweating, laundering, etc. with some very regular workout and laundry equipment and some very special machines (not pictured). 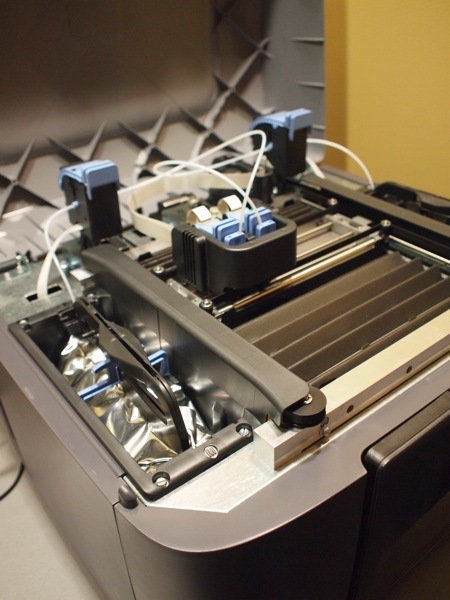 This is the Mojo 3D printer by Stratasys– just like inkjet printers, an excessive amount of plastic waste comes with every new roll of plastic, including the attached extruder head (seriously?!). 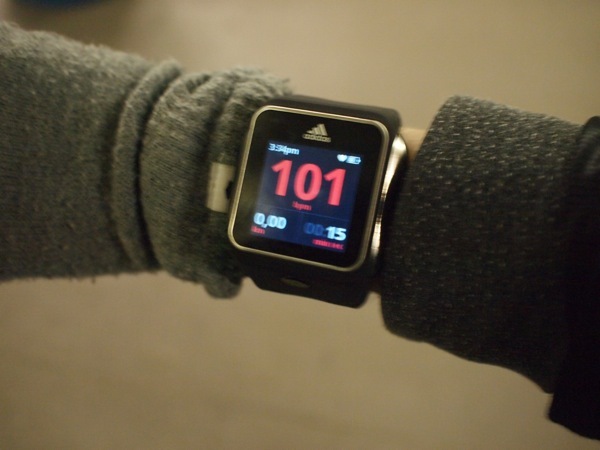 Adidas’ new smart watch has a fancy heart rate sensor at the back– it uses the same idea as the Pulse Sensor, shining light through your skin to detect your pulsating blood flow. 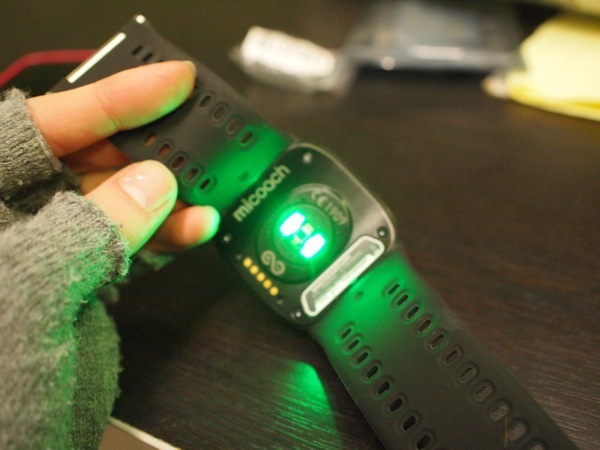 The watch tracks your heart rate, has GPS for tracking speed, pairs with bluetooth headphones, and is marketed for runners. It’s running a full Android build, however, and I think open sourcing the software would enable folks to do a lot more with it! It is comfortable and attractive even on my tiny lady wrists.